Also now up on ITunes, Spotify etc. Please note, this site is due for a complete overhaul / redesign soon. Please bear with it in it's current state, thanks ! I have an electronica side-project that I call ‘Formbank’. It’s been in existence for as long as my Igneous Flame project (since 2003). Periodically, I release a Formbank album and the time is now ! 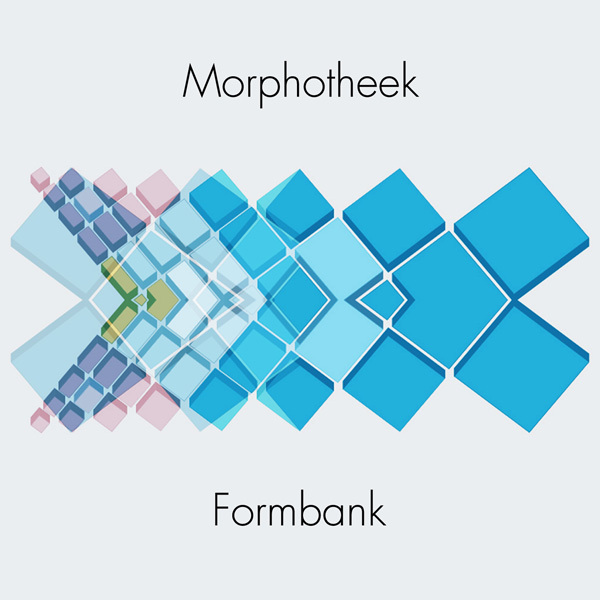 ‘Morphotheek’ is the fifth album in the Formbank series. The album was created entirely on an ipad, using Korg Gadget. ‘Morphotheek’ is a selection of off-beat, electronic instrumental pop-tunes – short in duration, but full of oblique energy. (Secret archive release - 29/5/16) Glamour A World Problem from many (many) moons ago ! On the face of it, it may appear that there are no new musical projects coming out of ‘Flame Acres’, but I’m actually working on a few projects, behind the scenes. Some more definite than others. 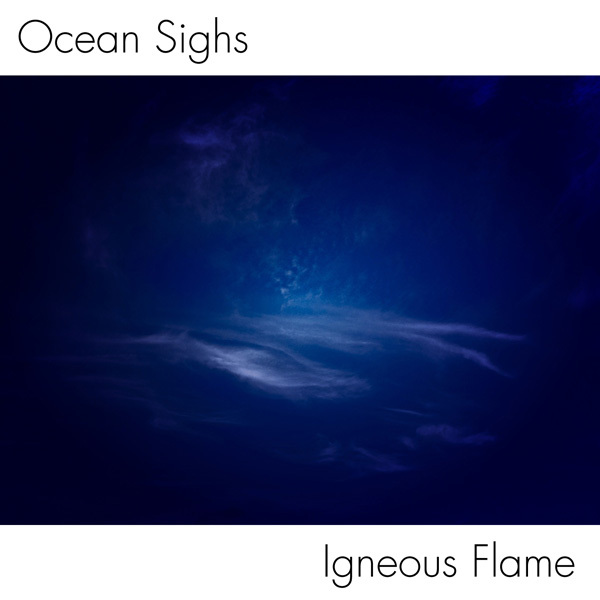 Firstly, my next ambient album, It will be based around female voice and something of an oceanic theme, it will be reflective and ‘pure’ ambient, contrasting with my more recent offerings. I’m currently working on a Korg Gadget project on the iPad, this will be more in my ‘Formbank’ ouvre – definitely not ambient ! One reviewer (Dene Bebbington) described one of my previous Formbank albums as ‘psychedelic EM’, which I think is a pretty apt description. I’m also looking at a generative ambient project, on the iPad, thats much less defined at present. Lastly, I’m still looking at some kind of guitar album release (as I have been for years), it’s becoming more defined now. As my last releases were pretty large ones (in terms of duration / work involved etc. ), I want to space out whatever I release this year, the ambient voice and the Formbank projects will definitely be out later this year, the others probably not. The very helpful CD Baby 'cyber-elves' have sorted this out now ! This is currently on iTunes for the price of an EP (£7.99 in the UK), this was mistake on my part - it was intended to be released as a 'single', but as it's over 10 minutes long, they are charging far too much for it. I'm looking into it, but I would suggest buying it from Bandcamp instead, where it's far cheaper ! Somewhat out of step with my releasing plans for this year, I’ve released ‘Lumen’ today. This release is currently a Bandcamp exclusive. Please visit this LINK for more up to date information and other things. 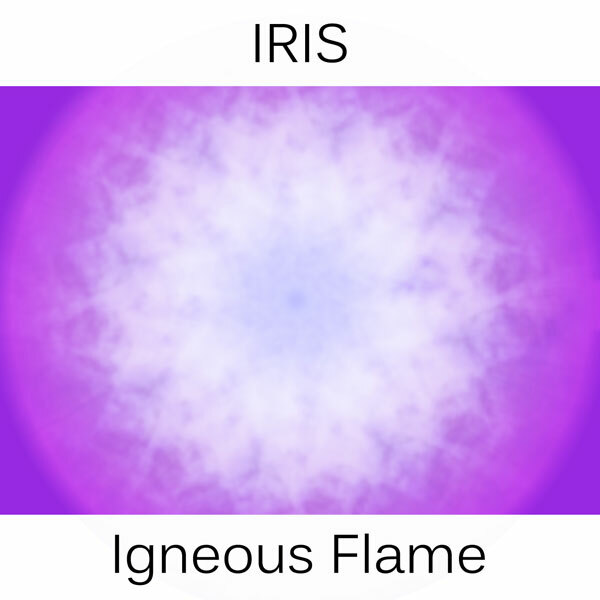 My ‘IRIS’ album has been put on hold temporarily while I’m working on a newer project which will be my next release. This album (provisionally titled ‘Ikon’) is a more experimental project than is ‘usual’ for my material. Percussives and a harder electronic sound are the order of the day for this one, there will be quite a range of ‘sonic dynamics’ on this one. I shall be returning to ‘IRIS’ once ‘Ikon’ has been released. It will be a primarily guitar orientated work and more ‘musical’ in a formal sense than my more abstract other work. Currently I’m hoping for a late summer / august release, but this will be more definite when I return to working on this project. 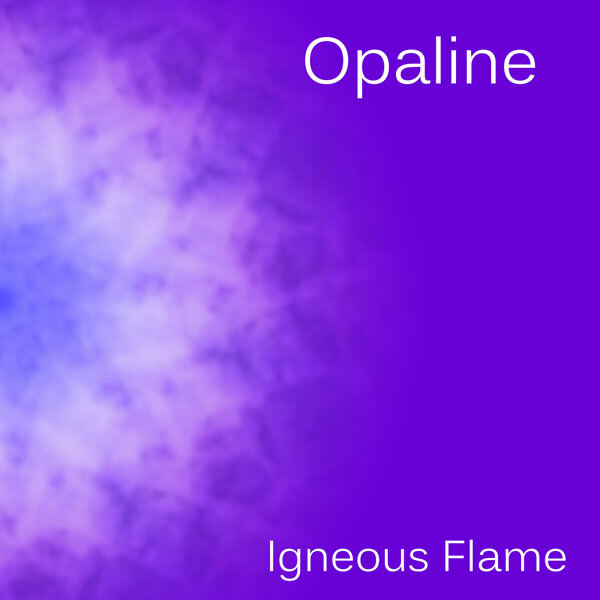 Extract: "Igneous Flame’s NYX is a very generous helping of ambient indeed, clocking in at over hours, and is best digested in a single large helping, if possible. I’ve used it for meditation purposes about ten times, had it on while working, and also sat staring into space absorbing the little nuances on offer. And I conclude that this is not just really good, it’s totally effing good in every way. I’ve pointed out before that the differences between “meh”, workmanlike ambient and really good, thoughtful and carefully crafted ambient can be subtle." 5/07/13 'NYX' now released ! Of course, Bandcamp makes the releases available as the highest quality mp3s too. I'm becoming quite a fan of the site and what they do ! New album 'Harmony through Conflict' released 31/12/12. Currently only available on my Bandcamp page. here and on 'Reviews' page. 2011 was a reasonably productive year for me, I released the Jazz-electric album with 'Achromus' in March and my 10th solo album Lyra in November. I also created 50 or so videos to accompany tracks from my previous albums, as well as a number of other work-in-progress projects. As regards 2012, I plan to release at least two albums, one collaborative and one solo. The collaboration I'm keeping under wraps for the time being as I've barely started working on it and the solo one could go a number of ways at present. I've spent 4 months on creating work-in-progress material, some of it quite diverse. On a personal level, I wish people all the best in these times of great change and uncertainty. Montage comprised of 9 one minute excerpts from each track on the album, with corresponding visual changes. I've been creating a lot of videos recently and uploading them to my Youtube channel. 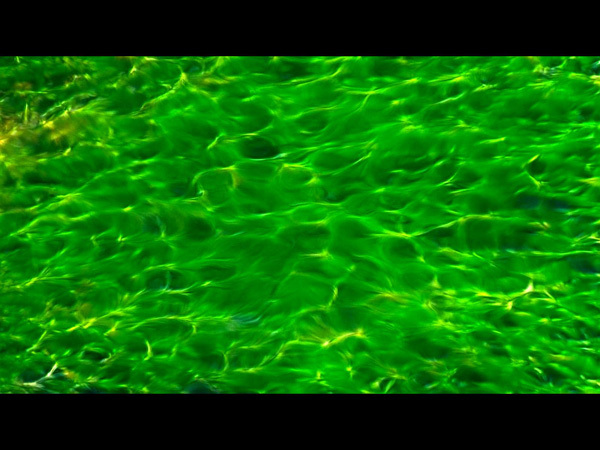 Unfortunately, Youtube doesn't really show them as I intended, so here's the original video for 'Vitreous Flow' (audio edit) from my 2007 album 'Hydra'. 'Jazz-electric' by Formbank & Achromus, now released (February 2011). 'Jazz-electric' is a side-project of Pete Kelly (Igneous Flame / Formbank) and Michael Stringer (Achromus). 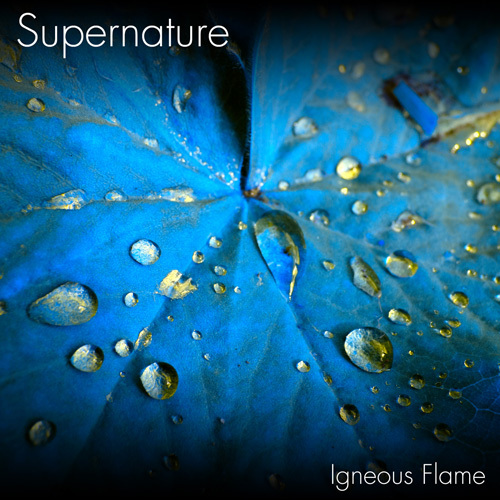 We are keeping it 'separate' from LuminaSounds, as such and is a download only release. 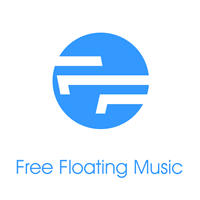 'LuminaSounds' (formerly Chillfactor10 records) has been set up by Achromus and Igneous Flame as a self-release venture for their forthcoming material, both solo and collaborative.